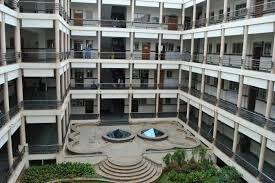 Ramaiah Institute of Technology, an autonomous private engineering college located in Bangalore is established in the year 1962. The institute is affiliated to the Visvesvaraya Technological University and the students have bagged 29 VTU medals. Ramaiah Institute of Technology is recognized by the All India Council for Technical Education (AICTE). Institute offers B.E programs in various streams such as Chemical Engineering, Biotechnology, Civil Engineering, Medical Electronics, Mechanical Engineering, Computer Science and Engineering, Electronics and Instrumentation Engineering, Telecommunication Engineering, Electrical and Electronics Engineering etc., B. Arch, M.Arch, MCA, MBA, M. Tech and research programs. Ramaiah Institute of Technology encourages events like UDBHAV: an annual Cultural Fest, Yantotsav: a national level student project exhibition, Aavishkaar: tech fest organized by IEEE branch students, TEDxMSRIT: a national event organized by MSRIT students. Ranking Notable alumni of MSRIT are Komal Jha, actress, Kanan Gill, stand-up comedian and You Tuber, Suhas Gopinath, youngest CEO at the age of 17, heads Globals Inc., Adithya Srinivasan, singer and song writer considered for a nomination at the 57th Grammy Awards. MSRIT encourages sports like Cricket, Tennis, Basketball, Throw Ball and many more. MSRIT is nearby JP Park, Orion Mall and Bharath Electronics Limited (BEL). Hostel with affordable fees etc. The courses offered in the institute are NBA accredited. It offers B.E course with 4 years duration period. Entrance exam for B.E courses is COMEDK/KEA CET. B. Arch course is offered with a duration period of 5 years. Admission will be based on NATA score. M. Arch course admission will be based on merit. MBA programme is offered with a 2 year duration period. Entrance exam for MBA course is CMAT/MAT/KMAT/PGCET score. MCA course is offered where the selection will be based on the marks obtained in KMAT/PGCET entrance exam. M. Tech programme is offered in various streams with 2 years duration period. Selection to this course is done based on GATE/PGCET marks secured. Hi, There is scholarship for deserving candidates and depending on their background and the category the candidate belongs. The application to apply is provided in the month Sept the scholarships are defence scholarship, for SC/ST candidates, for category I, II, III there is fee-concession and MSRIT Alumni Scholarship. What is the fees for lateral entry for BE?? And the duration for B.TECH lateral entry is 3 years. what is the total fee including hostel fees and Cut-offs Rank? MSRIT is a private college affiliated to VTU. The college offers courses for undergraduates and post graduates there is also specialization course offered by the college. The courses offered are B.E. M.Tech, MBA, MCA and PH.D which in deeper includes research programs. The Entrance exams should be taken to join further courses in the institute. Tuition and hostel fees are affordable and it is different for students depending on the ranking and merit scores. Also each courses and streams offers different fee structure depending on the course chosen. The total fee for B.E. is Rs. 298, 520 which is Rs.78, 380 per year through KCET. Students joining MBA and MCA should have been attended KMAT exams and students should have been appeared for GATE exam to join M. Tech. Those students choosing B.E. should have been appeared for KCET exams for the eligibility criteria to join the College. The selection process depends on the admission tests like MAT, CAT, CMAT competitive exams. Students must have passed their 10+2 with at least 50% to join any undergraduate courses. The cut off to join PG courses is 45% from their graduation and PH.D students must have taken PH.D entrance exams and must graduate with UG and PG courses. The placement goes with all top MNCs like ORACLE, BOSCH, INFOSYS, EY, SAMSUNG, HSBC and so on. The average package will be like Rs.7.66 lakhs per annum and highest package goes up to Rs.50 lakhs per annum. what is the total fee for a MBA programme?? 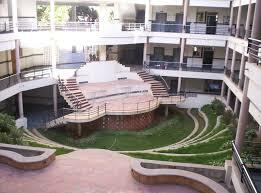 How is the Ramaiah institute of technology social atmosphere?? In this institute all the classrooms are well furnished. And the college has plenty of extra-curricular activities like Tech fests, the theatre society, debating society, IEEE, etc. The Institutional Area is off 4 acres. Fees structure of diploma lateral entry for engineering? Where the Interested candidates can apply online with required information. Admission is based on the marks obtained in diploma in engineering. *So based on this the admission is done. Can I get into EC Course through ComedK with a rank of 3600?? Last year COMED-K cutoff for ECE was around 1549. I want to ask u can i get computer science in this ramaiah college with rank of 14600. Please do reply ASAP? In MS Ramaiah Institute of Technology, cutoff for CSE in COMED-K in MS Ramaiah Institute of Technology has been up to around 1239. My rank in commedk 2017 is 17368 shall I get chemical engineering in ms ramaiah please help me? In MS Ramaiah Institute of Technology ,Cutoff for Chemical Engineering is around 8974.
what is the fees through CET exam?? Fees in MS Ramaiah Institute of Technology for btech is Rs1.5 lacs per anum. I want to know the total fees for admission in B.Tech Computer science and engineering course. I didn't sit for COMEDK and KCET entrance exams.? MS Ramaiah Institute of Technology B.TECH admissions are done on the basis of KCET/COMED-K exam. If you want more detailed information about the admission then you may directly contact the college. How many marks should to get aseat in m.s ramaiah University and if i get 90 marks in comedk can i get aseat in computer scince? which rank i should posses to get seat in computer science and iam going to write comedk exam? MS Ramaiah Institute of Technology Comedk rank for computer science will vary with demand. In general and past experinece you need to get rank below 2000 for MSRIT and for CSE below 1000. How is the placement for fieldof biotechnology?? 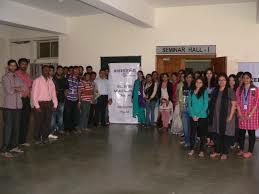 Companies visited MSRIT campus for recruitment are 99acres.com, HP, HSBC, IBM, JP Morgan, Cisco, Ernst & Young, NetApp, Godrej, Google, Goldman sachs, Philips, Piaggio etc. 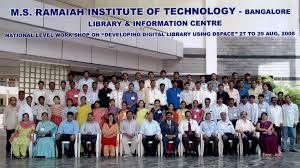 Are you Interested inRamaiah Institute of Technology"? Please provide the following details.